Training Leadership Consulting (TLC) was established in 2001 as a Lean Six Sigma-based Strategy and Enterprise Transformation Consulting firm. The co-founders Rick and Debbie McCarthy relocated from the USA where they had both been trained in systems integration, change management and six sigma. They recognised the need for a business improvement training and consulting services company to support the growth and development of international companies operating in South Africa. Rick and Debbie both started their careers at Accenture which is where they met. Debbie began her career with Accenture in Johannesburg and Rick started working with Accenture in Denver, Colorado. It wasn’t long before Debbie moved to the US to be with Rick. Once in the USA, Debbie was hired by GE Capital, a division of General Electric (GE), right at the time when GE was starting up their renowned Six Sigma program. Debbie was hired as one of the first Black Belt trainees and presented her first Black Belt project to Jack Welch. Debbie excelled in her career with GE as a Black Belt and Master Black Belt. She was responsible for leading several strategic Six Sigma projects and training initiatives before being named the Vice President of the newly created eCommerce Channel for GE Auto Warranty Services. Since then, and since co-founding TLC, Debbie has amassed 20 years of business improvement, training, coaching, project management and facilitation experience. While her true passion is Change Management, she thrives on training facilitation, customising curriculum and coaching clients to achieve results. 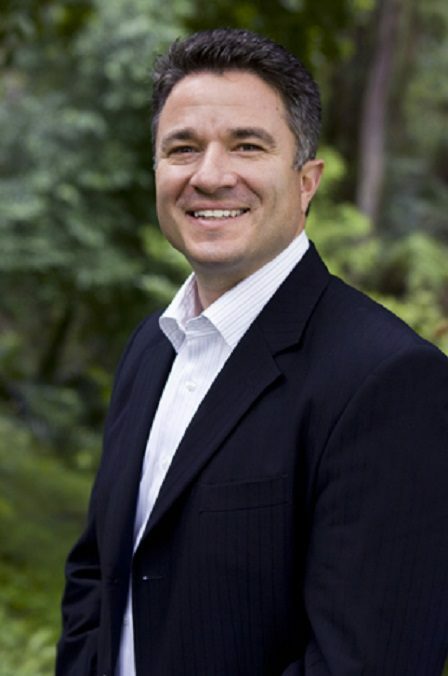 Rick is an experienced executive, with business growth and entrepreneurial talents. Rick has proven successes in growing start-ups as well as developing large-scale corporate strategy and leading enterprise transformation. Rick has been a lifelong student of Lean, Lean Start Up, Design Thinking and Six Sigma and has made a career of building business value. In his early career, Rick excelled in Systems Integration, with a focus on Process and Change Management while working at Accenture and PWC in the USA. Upon arriving in South Africa, Rick left consulting and joined Alpine Trading/Kingfisher Sourcing. In this new role, Rick led operations, quality and continuous improvement for a group of 15+ factory that exported to Europe and Australia. In this capacity, Rick helped the group achieve on-time, in-full, error free targets that exceeded customer’s expectations. This led to their main UK-based customer to make an offer to purchase the company. After helping to sell, Rick co-founded TLC with Debbie and since then, Rick has been the architect of numerous large-scale strategic turn-around and continuous improvement transformation programs. Today, Rick is a respected executive coach, facilitator, mentor and inspirational speaker. Over the years, Rick has built five companies and sold three. His success in business has earned him the Nedbank PCB Entrepreneur of the Year award in 2011 and the South African Productivity GOLD award for TLC in 2014. With work experience in the US, UK/EUR, Africa, Asia, Rick thrives in global and culturally diverse environments. Rick and Debbie built TLC upon an inspiring purpose, which is to develop the next generation of pro-active, problem solving leaders. Since 2001, with over 60 clients, 100 courses, more than 7000 people trained, and over R1,5 Billion saved for clients, TLC has run some of the most successful Lean, Six Sigma and Continuous Improvement programs in South Africa and beyond. In August of 2016, Rick and Debbie re-located to Rick’s home town of Boulder, Colorado. The South African business is now managed by Managing Director, Tanya Hulse who joined TLC from a successful career with SAB (now AbInBev). Debbie continues to be involved in key decisions for TLC and supports the team remotely from the US. Rick collaborates with the team and has become a trusted advisor keeping us abreast of international trends. He is the co-founder and President of TLC’s eLearning partner, The Leadership Centre and is providing solutions to US clients on corporate strategy, purpose-led transformation strategies and operational excellence solutions. To be the most respected company in purpose-led, Continuous Improvement Training and Leadership Development. We provide world-class training, leadership development and consulting services to medium-to-large firms across all industries who want to develop world-class, continuous improvement organisations. To develop and inspire a generation of pro-active, problem solving leaders.